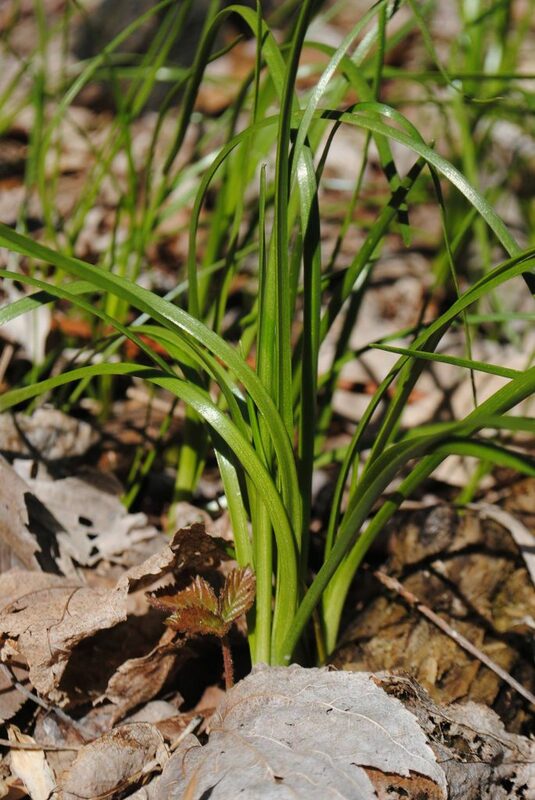 Allium canadense, plant. © Copyright Bobby Hattaway 2011. discoverlife.org (Accessed 8/2017). Allium canadense perennial monocotyledon, 20-60 cm tall from a bulb 1-3 cm, coat of bulb a fibrous net, colonial from bulb offsets, smells strongly of onion or garlic. Leaves alternate, along the lower third of the flowering stem, blade flat, elongate, linear, 0.2-0.4 cm wide. Allium canadense flowers. © 2001 Eleanor Saulys. ct-botanical-society.org.jpg (Accessed 12/2014). 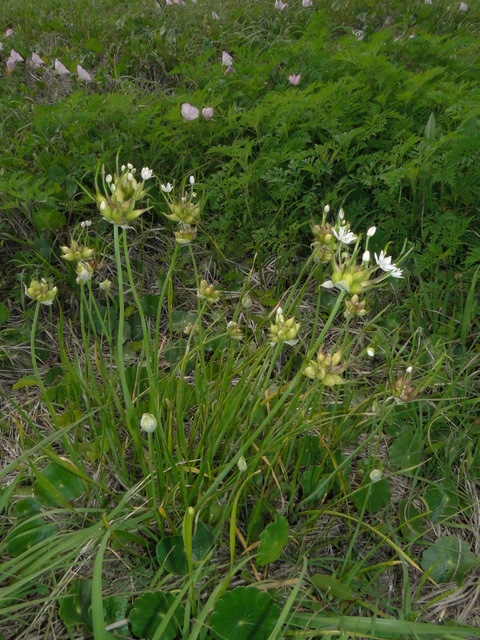 Flowers white-pink, small, radially symmetrical, 6 petals, on slender stalks to 3 cm long, from a tight cluster, at top of stalk to 60 cm long, above leaves; blooming May-June. 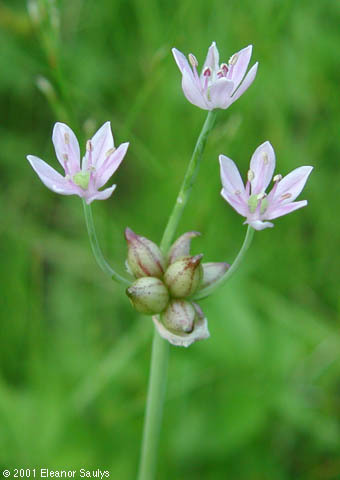 Flowers very often replaced by small bulbils with a tiny curling leaf. Fruit when present, dry, hollow, a 3-lobed capsule, splitting open to release small, black seeds.